We use the latest innovative service from DPD called ‘pick up returns’. DPD work together with over 2500 local shops, they have a handy website allowing you to find you most convenient drop off point, where you will receive a receipt for your return, also if you were to give your mobile number to the drop off point, you will receive updates on your return from DPD. All you need to do it repackage your parcel in nice and secure packaging, ensure you place the Boolavard.com return slip with your order number on in the parcel(this is important for us to process a refund), place the DPD pick up returns label on the box and choose your most convenient shop to take your return to. You will need to contact us for your free returns label using returns@boolavard.com where you will drop your return off will depend on the country you are based, it would normally be your local post office. You will need to repackage the parcel nice and secure with the Boolavard.com returns slip inside the parcel (this is important for us to process a refund), then place the return label on the outside of the package, before taking it to the drop off point stated on your label. In order to qualify for our refunds policy, all items must be in a re-saleable condition for example, Undamaged, still in original packaging, unworn and still with all tags and labels attached. We reserve the right to refuse to refund items that have been returned that are not in a re-saleable condition. Goods returned in this manner and not in a re-saleable condition may be returned to you and your expense. All returned items must be returned with the original Boolavard.com return slip, without the return slip or proof of return we are unable to issue a refund or exchange. There are exceptions to our refunds policy for some items. Please note this is a non-exhaustive list and that these conditions do not affect your non-excludable statutory rights. Your contract is for either of the following: one product which is delivered in instalments on separate days. Multiple products which are delivered on separate days. The end date is 14 days after the day on which you receive the last instalment of the goods or the last of the separate goods ordered. Example: if we provide you with a Dispatch Confirmation on 1 January and you receive the first instalment of your goods or the first of your separate goods on 10 January and the last instalment or last separate goods on 15 January you may cancel in respect of all instalments and any or all of the separate goods at any time between 1 January and the end of the day on 29 January. The end date is 14 days after the day on which you receive the first delivery of the goods. Example: if we provide you with a Dispatch Confirmation on 1 January in respect of goods to be delivered at regular intervals over a year and you receive the first delivery of your Product on 10 January, you may cancel at any time between 1 January and the end of the day on 24 January. 24 January is the last day of the cancellation period in respect of all goods to arrive during the year. To cancel a contract, you just need to let us know that you have decided to cancel. The easiest way to do this is to contact the customer services team returns@boolavard.com, or indeed you can contact us via telephone 07399 491117. If you have decided to cancel your order after you have received it, please send it back to us along with a note containing your order number and stating the fact that you would like to cancel the order to: Boolavard.com Returns, Unit 18/19, 3 Brunel Drive, Newark Business Park, Newark, Nottinghamshire, NG24 2EG. Refund you the price you paid for the goods. 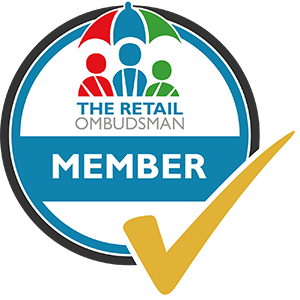 However, please note we are permitted by law to reduce your refund to reflect any reduction in the value of the goods, if this has been caused by your handling them in a way which would not be permitted in a shop. See our Returns page for information about what handling is acceptable. -If you have not received the goods 14 days after you inform us of your decision to cancel the contract. -If you have returned the goods to us under this consumer right of return and refund pursuant to the Regulations because they are faulty or falsely described, we will refund the price of the goods in full, together with any applicable delivery charges, and any reasonable costs you incur in returning the item to us. We will refund you by the same method in which you paid. If the card you used to pay with expires before the refund is made please call us to give us your new card details. 2 Unless the goods are faulty or not as described (in this case, see above), you will be responsible for the cost of returning the goods to us. If the goods cannot be returned by post, we estimate that if you use the carrier which delivered the goods to you, these costs should not exceed the sums we charged you for delivery. Because you are a consumer, we are under a legal duty to supply goods that are in conformity with this contract. As a consumer, you have legal rights in relation to the goods that are faulty or not as described. These legal rights are not affected by your right of return and refund in this consumer right of return and refund policy pursuant to the Regulations or anything else in these Terms. Advice about your legal rights is available from your local Citizens’ Advice Bureau or Trading Standards office.